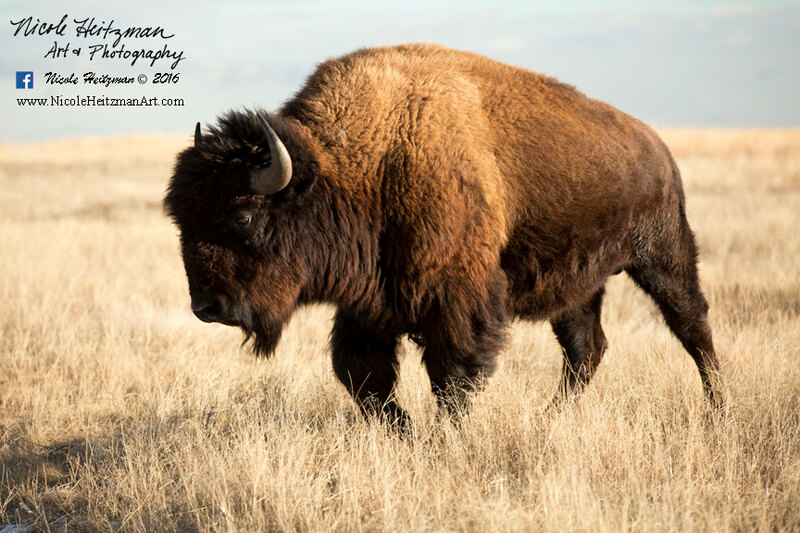 This vibrant South Dakota buffalo portrays the warm beauty of the plains. A buffalo signifies the lost native lifestyle of years past. Artist and Photographer, Nicole Heitzman, captured this image on a beautiful fall day in Custer State Park in Western South Dakota.